Dave Kawula is an Enterprise Consultant, Technology Evangelist, Best Selling Author and all around geek. He loves Microsoft Technology and is considered one of the best in his field. 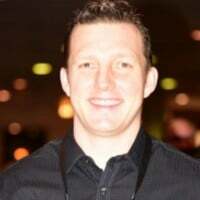 He holds over 50 + Microsoft Certifications and is also a Microsoft MVP. Dave is also a Veeam Vanguard and Cisco Champion. Recently he has been named as the Conference Co-Chair for Techmentor and in 2017 was a top 5 speaker in his track at Microsoft Ignite. In 2018 Dave tied for #1 top session at Microsoft Ignite.